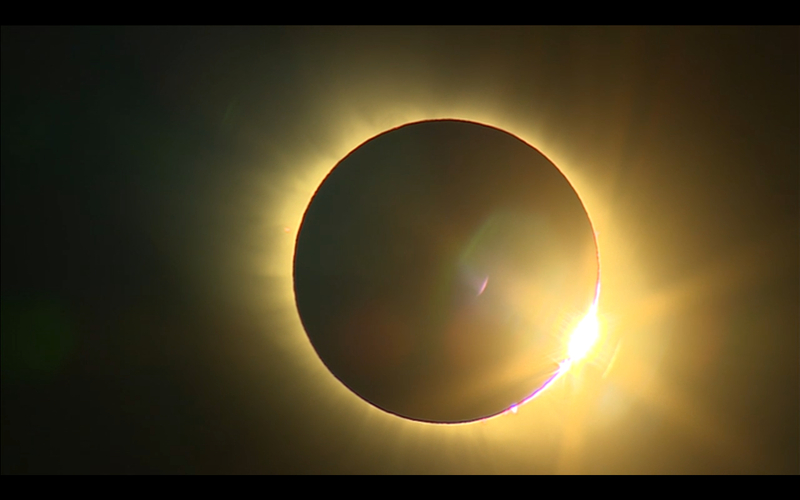 That's just a reflected image of the Sun within the camera optics. Added: Third contact and diamond ring from the live stream. Beautiful! Impossible to watch it here (half eclipse) , too many clouds. The next half eclipse here will be in 2020. The next full eclipse here will be in more than 100 years lol. The clouds covered the sun during the greatest eclipse. However I got to see the Sun shortly after. The sky wasn't noticeably darker during the greatest eclipse. Same here. Hopefully he found a good viewing spot. Only a crude picture for now as proof that we got what we came for. It was absolutely perfect! Except that the batteries did not like temperatures near -25C, so I think the video captures are minimal. I have a three hour flight home shortly, but will try to report tomorrow. This is really nice. What did you use to take such a picture ? I was prepared for the eclipse (which reached a maximum of 60% on my location) since February, but unfortunately the clouds decided that it was the perfect day to entirely cover the sky, so i saw absolutely nothing . I guess i'll have to wait until te next total eclipse in France, in barely 67 years. Where did you took the picture? Norway? Correct me if I'm wrong, but won't the eclipse of the 12th August 2026 hit southern France? 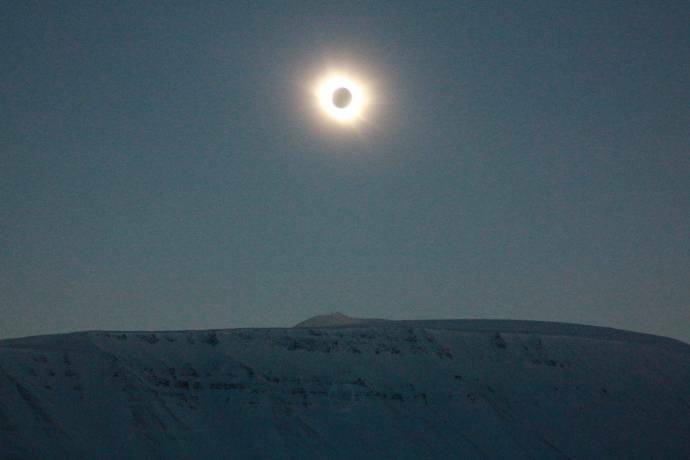 It was taken in Svalbard, an island about 1000 km north of Norway. Well, the eclipse would happen while the sun is very low over the horizon and the total eclipse would happen about at the same time as the sun sets, so it wouldn't be easy to observe it, and the eclipse of 2081 is the next total eclipse that will be easy to see from France. Well, it will be total in northern Espagne around 20:26, which is not "so" late, considering it's occuring on 12th August of 2026. The sun sets at 21:22. It's quite confortable. Only a crude picture for now as proof that we got what we came for. It was absolutely perfect! Congratulations! The weather really worked out in your favor there. won't the eclipse of the 12th August 2026 hit southern France? 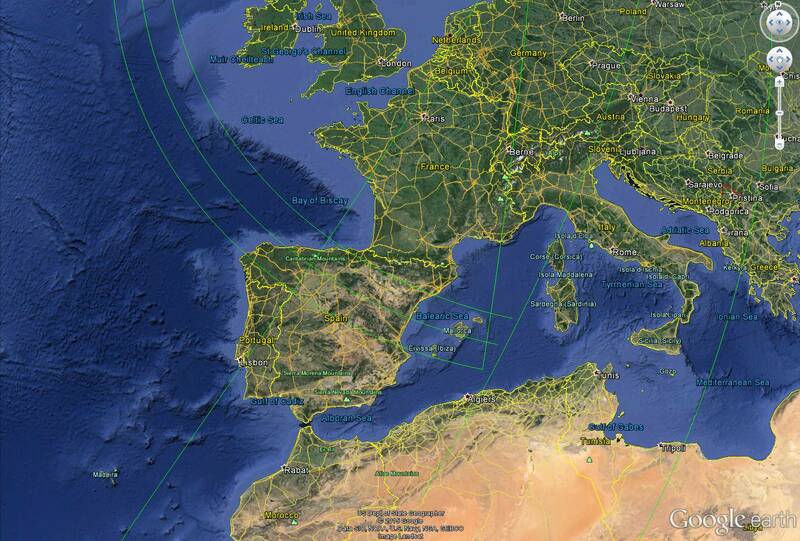 Actually it looks like the path of totality doesn't hit France, but northern Spain, between Madrid and the Pyrenees. Close enough though, if you can hop over the border. The west coastal town of Luarca is near the center line and will have 1m50s of totality with the sun 11° above the horizon. Weather conditions might be more favorable away from the coast, but at the cost of sun elevation. As for me, I'm eagerly anticipating Aug 21, 2017. I'll have to make a road trip to see it, probably in Oregon or Idaho.